The best burgers in NYC are not hard to come by. Let the AAA Diamonds guide you to your next delicious burger. What makes a burger great? Is it the toppings – the artisan pickles, fancy buns and special sauces? Or is it simplicity – the quality of the meat, the perfect doneness – that defines the best of the very many versions of America’s favorite sandwich? It’s up to the eater to decide, but one thing is for sure: the difference between a good hamburger and a sub-par attempt is never hard to distinguish. There are plenty of thoughts on where to go to get the best burger in NYC, and for some places that decision is more unanimous than others. With so many opinions floating around and so many joints touting to be “the best,” you may not know where to begin. AAA Diamond Ratings make it a little easier. Below we’ve highlighted one and two Diamond burger restaurants in New York City, each of which have been thoroughly evaluated by AAA inspectors and rated based on factors including quality of food, service and affordability. AAA Diamond Ratings are based on objective assessments that are conducted in-person and unannounced by professional, trained inspectors who must follow strict guidelines. The guidelines for restaurant ratings consider cleanliness, food, décor and service, along with other basic requirements such as appeal and architectural style. All are considered from the point of view of overall guest impression. 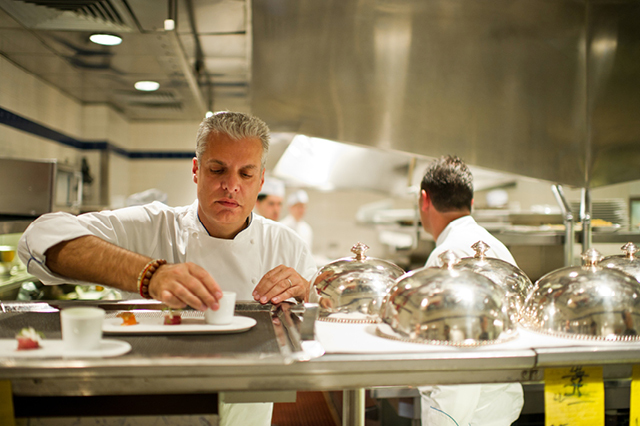 Ratings range from one to five diamonds, and though five diamonds is the most coveted and prestigious grade, the number of diamonds a restaurant earns does not always reflect superiority over another in all aspects. One Diamond – Wholesome, straightforward and familiar food at an economical price. Generally, these are quick-service operations with simple, practical surroundings, specializing in one item (e.g. hamburgers, pizza or tacos). Service is limited or self-serve. Two Diamond –Menu offers a variety of familiar favorites that are often cooked to order and reasonably priced. 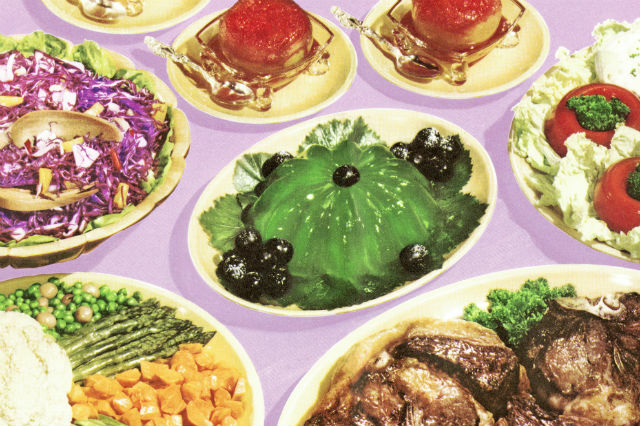 There are noticeable enhancements in food presentation with common garnishes and dishware. Overall, the restaurant provides a comfortable and often family-friendly experience in a casual setting with limited, relaxed service. Click here to learn more about the AAA restaurant review and rating process. This dimly-lit hideout is inconspicuously veiled by a curtain in the lobby of the Le Parker Meridian hotel. On the menu there’s hamburgers, cheeseburgers, fries and milkshakes – that’s it. One of the reasons why Burger Joint is considered as having some of the best burgers in NYC is because they keep the focus on the burgers and keep the burgers simple. Toppings are basic (iceberg lettuce, tomato, onion, pickles, ketchup, mustard, mayo and a cheese blend of white Cheddar and Colby) in order to enjoy the flavor of the patty. Shake Shack has been around since 2004, starting as a hot dog cart in Madison Square Park, and growing into a burger empire with multiple locations throughout New York and around the world. Served simply on a Martin’s potato roll, a proprietary blend of Pat LaFrieda beef is stacked with lettuce, tomato, cheese and signature ShackSauce to make up the classic ShackBurger. Many will argue it’s one of the best burgers in New York City. If you’re looking to spice things up, the SmokeShack with bacon and cherry peppers is another must-try. And if meat is not your thing (or even if it is) the ‘Shroom Burger, made with a breaded and fried Portobello mushroom is an awesome alternative. Other options include the Chick’n Shack fried chicken sandwich and the Shack-cago Dog. Don’t forget to leave room for a milkshake, float or frozen custard “concrete” creation! The Corner Bistro burger is known for its size (very large) and under $10 price tag. Not a bad deal. The broiled burger is thick and stacked so high with cheese, bacon (or homemade chili) that you’ll apparently have to unhinge your jaw to get it all in one bite. Pair it with a tall beer and you’re all set. Restaurant locations are in west Greenwich Village and Long Island City. BareBurger proudly lays claim to what it calls “the most responsible burger.” There’s no mystery meat here; all meats (which extend far beyond beef – ostrich, bison and elk are among the choices) are free range, pasture-raised and humanely-raised, as well as antibiotic and hormone free. The company is also dedicated to supporting local and nationwide food artisans with similar philosophies. Burgers are customizable with your choice of tasty toppings, bun, veggies, sauce and even type of bacon. So whether you are a health-nut, a conscious eater, a vegan or a carnivorous beast, there’s something here for you. What began in Astoria is now a franchise with restaurants across the Northeast and expanding, so you can now enjoy BareBurger in NYC and beyond. 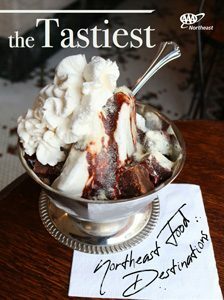 This small chain of restaurants with several locations throughout NYC (the Hell’s Kitchen site is one of our top picks for restaurants near Broadway) and one in Boston, was inspired by the signature 5 Napkin Burger. Originally served at Chef Andy D’Amico’s French restaurant NiceMatin in the Upper West Side, the burger, so named for its irrepressible juiciness, is made with 10 ounces of freshly ground chuck and topped with melty Gruyère cheese, caramelized onions and rosemary aioli on a soft white roll. Try it, or one of its friends – including one of 5 Napkin’s “Burger Bowls,” served over a choice of salads, or another one of their homey dishes. Select locations also serve sushi. The next time you’re in Staten Island, swing by Hylan Boulevard and give Standard Burger a try. 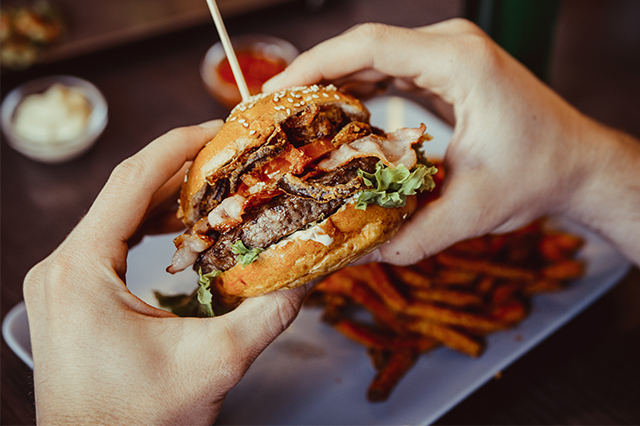 Build your own burger from the selection of toppings, sauces, rolls and proteins or choose one of their signature creations, like their best-seller, The Texan, deemed the best burger in NYC in Time Out New York’s city-wide Battle of the Burger in 2015. Served on a fresh baked potato roll, a Pat LaFrieda blend comes crowned with lettuce, seasoning, pickles, panko shoestring onion and homemade BBQ sauce. Pair it with a potato at the potato bar, where diners can choose between house-made potato chips, three different types of fries or a baked potato that you can load up with toppings. 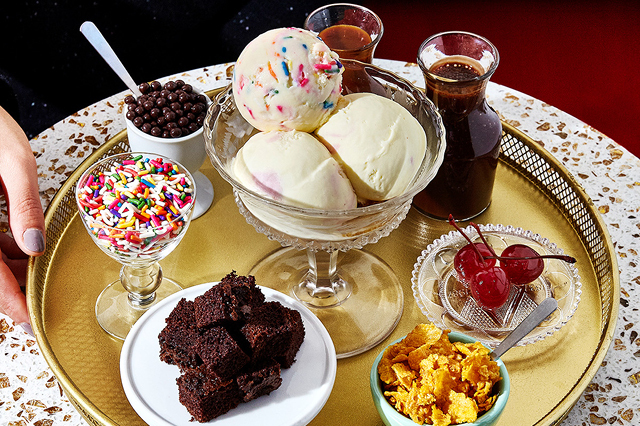 Cap off your meal at the dessert bar, which is just as fun as it sounds. Two8Two receives positive and consistent reviews all around. Visit them on Atlantic Avenue in Brooklyn. Their burgers are made with locally sourced beef from butcher Los Paisanos. 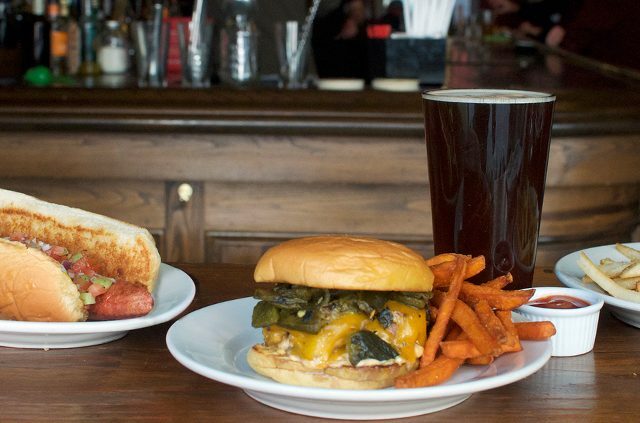 Try the Two8Two burger, topped with roasted poblano chiles, cheddar cheese and Two8Two sauce, or the Half and Half, which is the same but with a 50% Applewood smoked bacon patty. Customize with a list of toppings that range from house-made tzatziki sauce, to beef chili, to a fried egg. Hot dogs, classic sandwiches and salads are also on the menu. Now that you know the top picks according the AAA Diamond Ratings, what do you think are some of the best burgers in NYC? Tell us in the comments. Learn more about AAA Diamond Ratings. Article tags: AAA, aaa diamond, aaa diamond ratings, best food, decor, diamond ratings, food, french restaurant, health, house, lunch, menu, patio dining, restaurant ratings, restaurants, restaurants in, restaurants in new york, the restaurant. My wife and I are lifelong (more than 70 years each) NYers – she born & raised in “The City”; me less than an hour out on the Harlem Division of NYCentral RR. We have a timeshare in midtown (56th btw 7th & B’way) because we LOVE the city AND we LOVE great burgers. All these listings are really good. Here’s one – for our money the best. Made with the best ingredients, right in front of your eyes, on a street cart at the northeast corner of 56th and 7th is the BEST burger in the city – Carnegie John’s (so named because Carnegie Hall is right there. John has been making GREAT straight up food for many years on this corner and his are THE BEST burgers we have experienced in the city or anywhere else for that matter. Like all the really good street chefs (Rafiqi’s, Hallo Berlin, The Halal Guys, etc.) John uses super beef & fresh rolls, lettuce, tomatoes, etc. and grills the burger to your specified temperature … perfect every time. Also like all the great carts, John is only there midday (lunch crowd) M-F so the next time you are in midtown on a weekday between 10 and 2 grab a great burger then walk a couple of blocks up to the park, sit on a bench, and feast! What a great insider tip. Thanks! We love us some street food here at AAA Northeast. Your ratings would be much more useful if you told what prices are charged for the burgers. Thanks for reading … and for the feedback! We’ll keep that in mind for future stories. In the meantime, if you click on the names of the restaurants the links will take you to their websites, where you can find the prices. You missed one right under your nose, on the 7th Street near your Garden City office is the “BURGER SPOT”. I’ll give it 2+ Diamonds. Sorry, the Burger Spot is not in NYC. But it’s the best in the Metro NY area.